How can the HR professional prepare for the year ahead? Emerging trends in HR and talent management indicate that we’re going to be dealing with the continuing impact on recruiting and the employee experience of new technologies, big data, and social media. At the same time, there’s an increasing focus on performance reviews and how they affect compensation, the culture of businesses, and employee engagement. Meanwhile, we also have to think about the implications of the ACA, the outcomes of the EEOC Strategic Enforcement Plan, and evolving thinking on family and sick leave, among other compliance concerns. As always, emerging trends will bring their own compliance and management challenges. Staying ahead of the curve will help you be prepared for whatever 2017 will bring. Join our free webinar on Thursday, December 8 for insight into emerging trends and the compliance implications you need to manage. 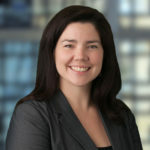 Our speaker, Kate Bischoff, will share her legal and practical expertise in helping organizations understand the implications of HR processes and maintain compliant practices. Who should attend? This webinar is for HR professionals who want to understand the implications of emerging trends to better prepare their businesses to benefit from new technologies and processes – without falling foul of compliance . Join us on Thursday, December 8. An enthusiastic management-side attorney and SHRM-SCP/SPHR-certified human resources professional, Kate advises organizations in a wide range of industries on employment law and employment decisions, from recruitment and workplace culture to terminations. Her strengths include ensuring human resources policies and practices are compliant with federal and state laws, training employees and managers on equal employment opportunity and other supervisory topics, and handling investigations into employee grievances and complaints. Kate’s passionate about improving company culture and using technology (social media and data analytics) in the workplace. Follow her on Twitter at @k8bischHRLaw. SilkRoad technology inc., is a leading provider of a full suite of talent management solutions that significantly improve the talent within its more than 1000 customers across the globe. With a suite that includes solutions for recruiting; onboarding and life events; performance; learning; and employee intranets, SilkRoad offers the most comprehensive talent management suite on the market.